GPU: 10.7 teraflops, 56 compute units, HbM2 Memory. CPU: Custom x86 Processors, 2.7 GHz, Hyperthreaded, AVX 2. 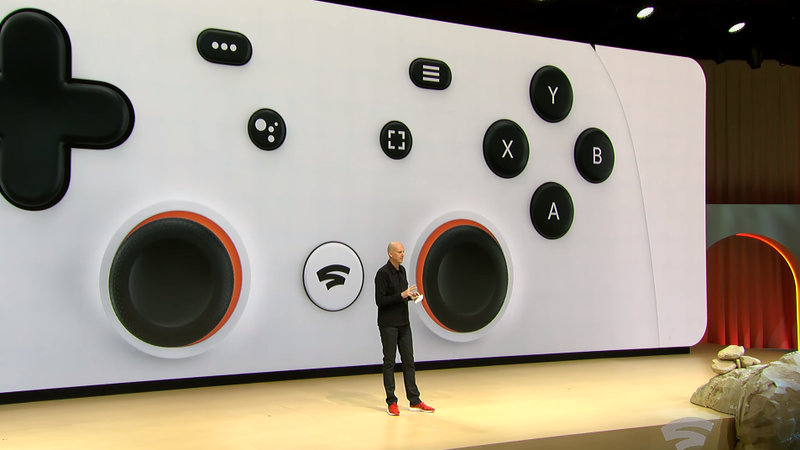 What happens when Google decides to shut down certain Stadia servers or re-allocate the data centers in the future? Google is known for starting projects and then eventually abandoning them. Harrison told us that even when some Stadia games stop getting played as much the back ups will still exist, but declined to comment on what would happen if the servers they were stored on were shutdown. How will Google moderate the platform? In his Splitscreen interview, Harrison said the focus would be on “marginalizing toxicity” rather than necessarily getting rid of it altogether, and added that game developers publishers will be able to choose the influencers they work with and how, but didn’t specify what tools they would have to try and prevent the abuse in, say, a standard YouTube video comments section, from spilling over into the very YouTube-connected Stadia experience.